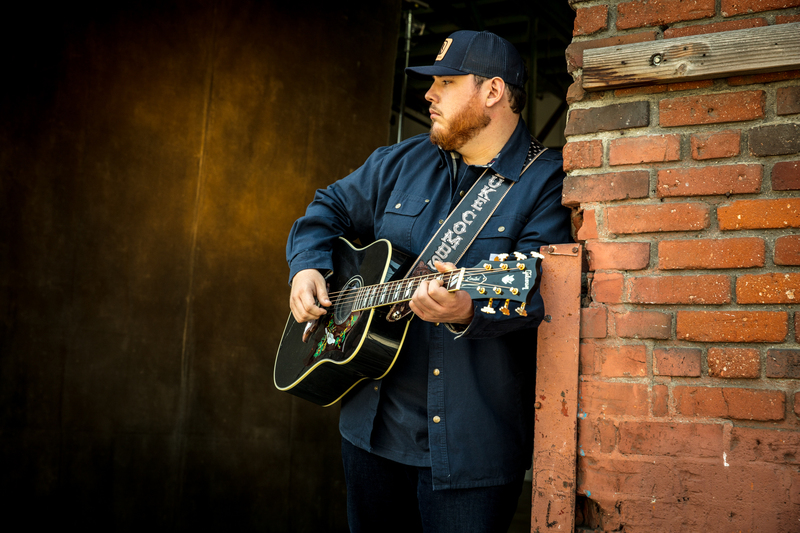 LUKE COMBS SET TO PERFORM ON "THE LATE SHOW WITH STEPHEN COLBERT" & "GOOD MORNING AMERICA"
Nashville, Tenn. – Multi-platinum, breakthrough country star LUKE COMBS will join CBS’ "The Late Show With Stephen Colbert" to perform a smoky version of his third-consecutive No. 1 smash hit “One Number Away” next Tuesday, July 17 and ABC’s "Good Morning America" for the national television debut of his brand new single “She Got the Best of Me” on Monday, July 30. With the release of 5 new tracks on his deluxe album This One’s for You Too, Combs’ critically-acclaimed GOLD-certified debut album This One’s For You continues its chart-topping reign as the No. 1 streamed Country album of 2018 and returns the No. 1 spot on the Billboard Country Albums chart for its 6th appearance this week. Earlier this summer, Combs collaborated with R&B soul star Leon Bridges for a extraordinary edition of CMT Crossroads live from downtown Nashville (WATCH HERE) and joined PBS for “A Capitol Fourth” live from the U.S. Capitol West Lawn in Washington, D.C. performing “Honky Tonk Highway” (WATCH HERE). In addition to his explosive rise up the charts, Combs takes his rowdy, firebrand live show out with Jason Aldean on the High Noon Neon Tour this summer with stops in New York City, Los Angeles and Nashville and joins the Saturday line-up at Lollapalooza in Chicago.